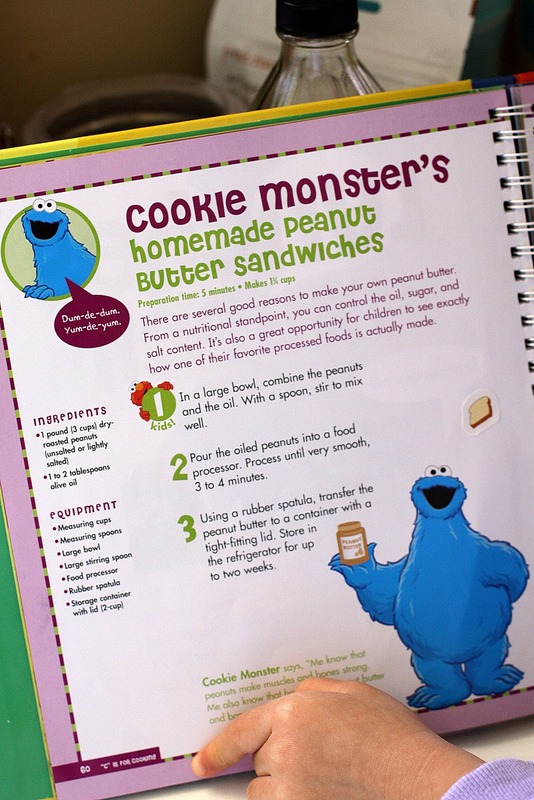 Elizabeth received a new cookbook for Christmas, Sesame Street C is for Cooking, and she LOVES it. The first recipe she wanted to make was peanut butter. The recipe is very simple and, with the help of my blender, we whipped it up in no time!! When it was first finished, it was warm and runny. But after it spent the night in the refrigerator, it was PERFECT!! It was even more perfect on a piece of toast. Yum!! In large bowl, combine peanuts with oil. With a spoon, stir to mix well. Pour the oiled peanuts into a food processor (I used a blender). Process until very smooth, about 3-4 minutes. Using a rubber spatula, transfer the peanut butter to a container with a tight-fitting lid. Store in the refrigerator for up to two weeks. I love the message of your blog! I'm a homemaker and enjoy reading blogs that encourage me in my career. I've always wanted to make my own peanut butter. Looks yummy! Can't wait to give this a try! Apple slices dipped in peanut butter are a favorite snack at the moment. Sounds really good. I may have to try this one. Thanks! What a wonderful post! Doing a little blog hopping around and found you. Thought I'd say hello. Would love for you to link this up over at my place! I'm sure my readers would enjoy this! How fun to make peanut butter! I had a children's cookbook when I was a child and actually use it some even to this day. 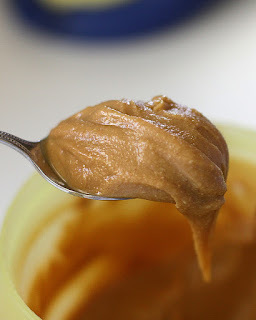 You can make homemade peanut butter also in a Vita-Mix. So easy! I wanted to thank you for signing up for my giveaway last week. Though you didn't win the items I feel like a winner as you are now a follower! Blessings!